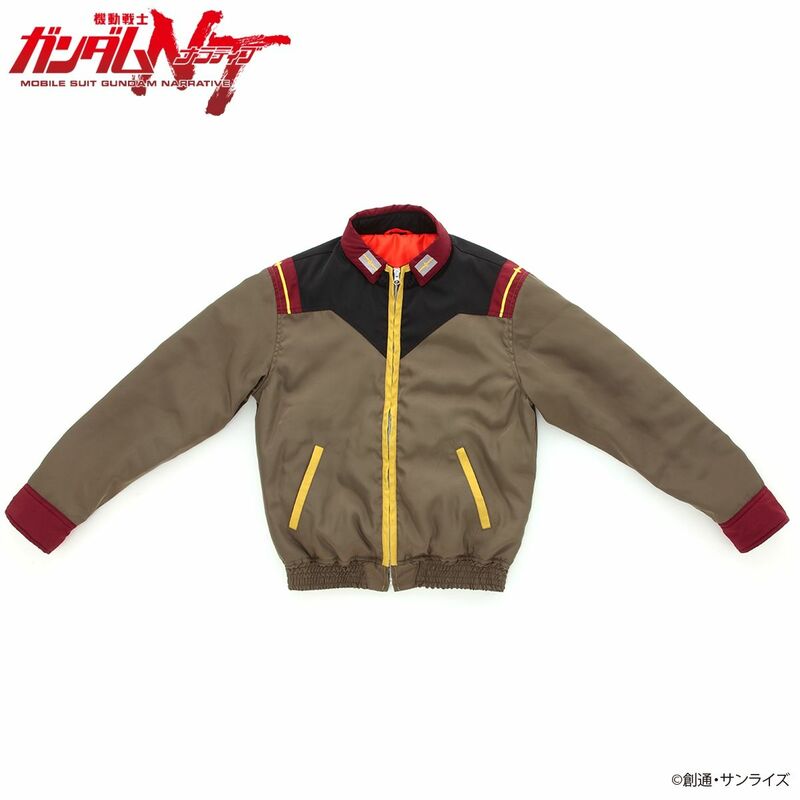 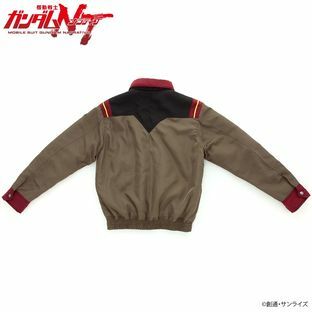 A blouson that allows you to cosplay as a character in "Mobile Suit Gundam NT." 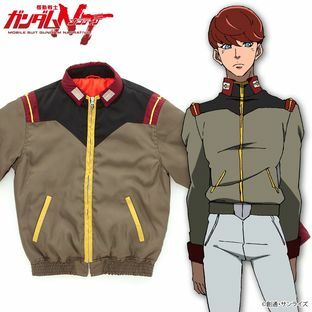 We tried to make the blouson to look like the costume in the animation as real as possible by using the costume design as reference. It is made of lightweight polyester fiber and is designed to lessen its burden for long-term wear. 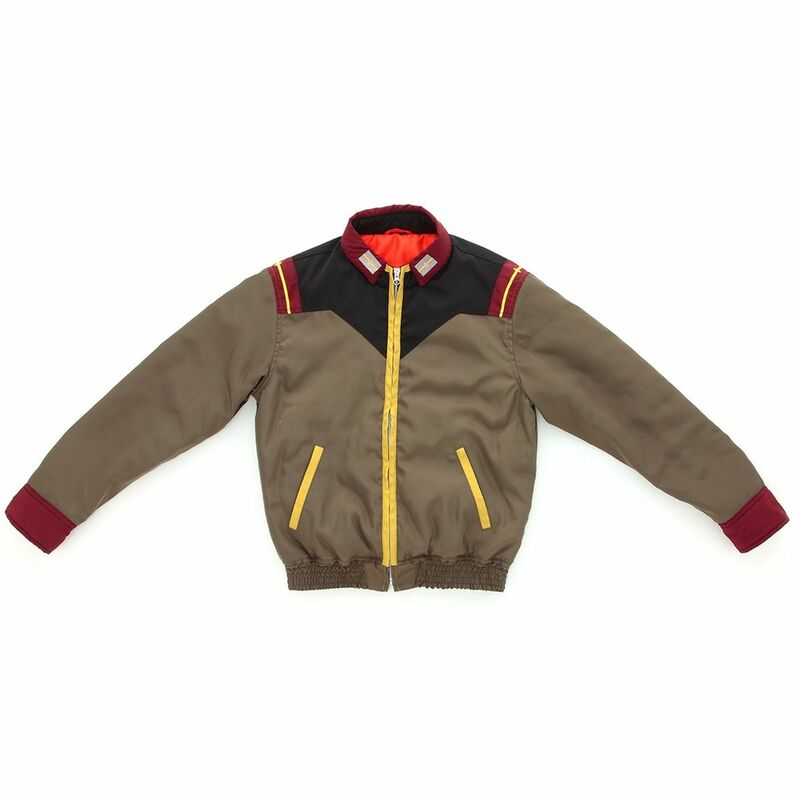 Also, the cotton lining helps the wearer stay warm on cold days. 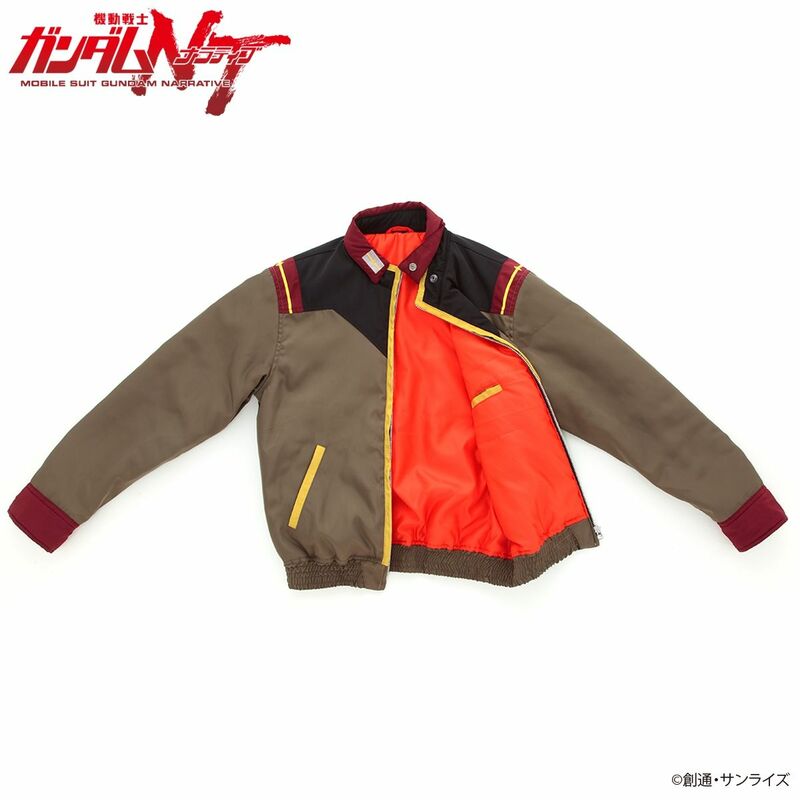 The inside lining is a vibrant orange, and there's also a pocket near the left chest for carrying your daily necessities. 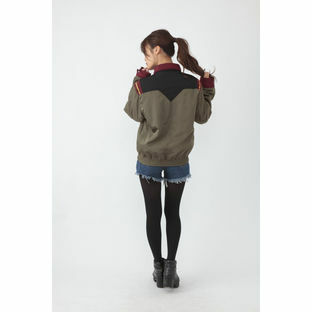 Many details were added to the design: the lapel pin is embroidered and the shoulder mark is printed. 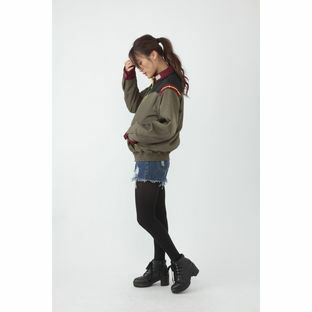 Although it is designed for cosplay, its khaki-based color scheme allows for everyday wear in military style.